Nasal decongestant is a vasoconstricting medication, which decreases blood vessel size. The active principles of the major decongestants found in Brazil are nafazolin, phenoxazoline and oxymetazoline. The nasal mucosa, which is the covering that covers the entire nasal cavity, is very rich in blood vessels, which have the capacity to contract and dilate as needed. This mechanism is important for two reasons. The first is by allowing the air to be heated and humidified in the nose until it reaches the lungs. The second reason is to increase the surface of the nasal cavity to filter out harmful particles and assist in cleaning the cavity. Certain situations , such as an allergic crisis or inflammation caused by colds and sinusitis, lead to dilated blood vessels and, consequently, to a stuffy nose. Nasal decongestant reduces this dilation and leads to rapid relief of symptoms. The problem is that the nasal decongestant is not treating the cause of the problem, only the consequence. Its effect is short and its absorption is reduced with the passage of time. 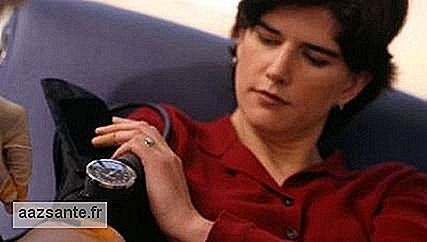 The person then feels the need to use the medicine in an increasingly shorter interval. Another issue is that the decongestant itself, which is usually associated with a preservative, generates an irritation of the nasal mucosa, leading to what we call rhinitis drug therapy. Treatment of drug rhinitis requires patient awareness, and corticosteroid medications may be used to aid in this process. Excessive and continuous use of decongestant means that the patient has difficulty breathing in the nose and should see a doctor. Chronic rhinitis and sinusitis and septum deviation may be the cause. Decongestants are indicated only in acute conditions, such as bouts of rhinitis, acute sinusitis and colds, and their use should not exceed 5 days. Decongestants should be avoided in certain diseases: hypertension, heart problems, glaucoma intraocular pressure) and elderly patients with enlarged prostate. In children, nasal decongestants should be used only as directed, as they may have serious effects, such as cardiorespiratory depression and even death. 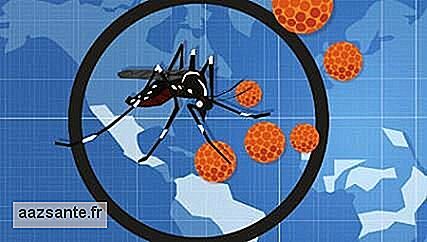 In an initiative of several philanthropic institutions and governments , a major plan of action to combat the virus zika, dengue and chikungunya, all transmitted by aedes aegypti. The project will be launched in Brazil and Colombia, countries where there is a high incidence of mosquitoes. The results will be analyzed in the next two or three years. It is almost impossible to imagine, but it is estimated that there are at least 1.5 million mites living in your bed at all times. These micro-organisms are present in several places and some objects are considered ideal habitat for their accumulation. 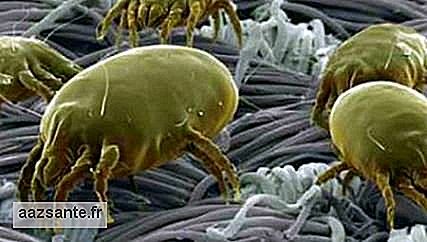 Mites are extremely small organisms, visible only by a microscope, but they can cause great disorders for health. My genes control everything the body does, from the metabolism to the breathing and the color of the eyes and the hair. 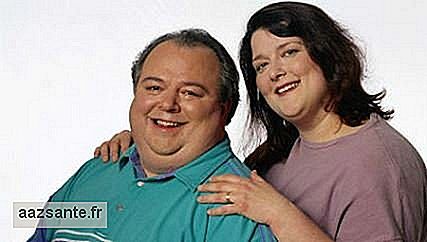 Look at the relationship between having fat parents and the possibility of inheriting these genes.